Home Research & Publications Policy Briefs US Central Asia policy: Still American Mars versus European Venus? 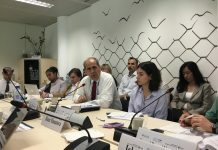 At a time when transatlantic commitments are widely focused on the Syrian crisis and the need for coordinated policies to counter the economic and debt crises, a reading of the European Strategy for Central Asia and equivalent US texts(1) reveal the limited coordination of Western policies in the region. This often is more a matter of a mutual ignorance than of disagreements on the motives of the US and European involvement. Meetings on Central Asia between senior European and US officials are rare, except for those between the EU Special Representative for Central Asia and the US Under Secretary for the region. Meanwhile, mutual knowledge of the actions of US and European governments and public administration in Central Asia is minimal. US policy toward Central Asia is handled by a diversity of actors – the Defense Department, the State Department, USAID, and Congress – which do not share necessarily the same priorities. To these institutions one can add a range of American private actors, corporate as well as civil society, which each have their own objectives in the region. Tensions between main civil society organisations (the Open Society Foundation, the National Endowment for Democracy, Human Rights Watch, etc.) and the State and Defense Departments are regular and the assessment of the security-democracy nexus is often at the core of their debate. In addition to this, the United States’ influence is also expressed via transatlantic institutions, particularly NATO and the Organisation for Security and Cooperation in Europe (OSCE). The United States does not consider Eurasia as its main foreign policy focus and will continue to embed Central Asia within a more global agenda. Europe however, will remain more intimately linked to the Eurasian region through its own relations to Russia, Turkey, Eastern neighbours and the Mediterranean basin. In contrast to the European approach, the United States’ new emphasis on its strategic interests in the Asia-Pacific region and the maintenance of the focus on a ‘greater Middle-East’, as defined in the new US Defense Strategic Review, confirms that the relationship to China and South Asia will be a key element in the American reading of Central Asia’s future. (2) Beyond differences in the fields of trade orientation, power projection, and focus on hard or soft security; Europe and the United States share many values and seek a relatively similar future for the Central Asian region. This policy brief discusses the strategy of the United States in Central Asia by analysing first the five main foreign policy objectives in the region. Secondly, the brief addresses country specific approaches and thirdly, the shared and divergent aspects of US and European policy in the region are discussed. The United States’ strategic thinking divides the world into main areas of concerns. For two decades the place of Central Asia has been shifting from Eurasia (the former Soviet space) to either ‘Greater Middle East’ or ‘South Asia’. 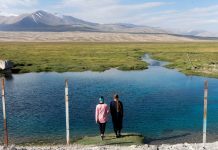 Separating Central Asia from the rest of the post-Soviet space aims at reducing a traditional, Russia-centred focus and promotes a new logic of regionalisation. At the US Defense Department, Central Asia is since 1999 part of the Central Command (CentCom), which also includes the Middle East, North Africa, Afghanistan and Pakistan. At the State Department, Central Asia has been withdrawn from the Europe and Eurasia Bureau and moved into the new Central Asia and South Asia Bureau in 2006. These bureaucratic reshuffles are indicative of the US shifting attention from Europe to Asia. Democracy promotion ranks third. Officially, the State Department rejects critics who claim that US interest in the region’s democracy situation is declining on behalf of security considerations. To this, Robert Blake said, “we do not see our engagement with Central Asia as an either/or choice between developing security relationships at the expense of core values like human rights. Progress on one issue can help reinforce, or create incentives for progress on other issues.”(12) Currently US democracy promotion – which refers mainly to human rights and religious freedom – materialises through the Assistance to Europe, Eurasia, and Central Asia (AEECA) programmes, and the Annual Bilateral Consultation process that is organised with each of the five Central Asian states. This also includes however, discussions on scientific and technological collaboration, economic development, and defence cooperation. Representatives of US firms and the departments of commerce and energy are involved also, further expanding the range of thematic issues and thus marginalising value matters on the agenda. The US Commission on International Religious Freedom (USCIRF) has labelled Uzbekistan (since 2006), Turkmenistan (since 2000), and Tajikistan (since 2012) as ‘Countries of Particular Concern’ (CPC) for severe religious or other human rights violations. This does not result necessarily that sanctions will be taken against these states. (13) Similarly to Europe, the United States lacks leverage to affect the reality on the ground, which is particularly the case when securing the exit of troops from Afghanistan is a priority. Fourth, the US objective of promoting a market economy was central in the 1990s, but has been downgraded as a programming priority. 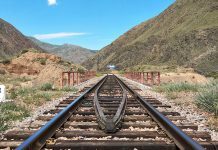 Today, Washington limits its role in this domain to promoting Kazakhstan’s, Uzbekistan’s and Tajikistan’s entry into the World Trade Organization (WTO) and hoping for positive side effects of the New Silk Road policy on local trade, and therefore subsequently on business initiatives and the investment climate. Ranking last on the top-five policy list is development assistance that is bolstered by the activities of USAID and for the rest, largely left to private and civil society initiatives. Still, USAID has been a substantial actor on development in Central Asia and works in all five states, with limited access to Turkmenistan and Uzbekistan. Its development axes are divided into the three broad categories of economic development, health, and ‘governing democratically and justly’ programmes. Since the early 1990s, Kyrgyzstan benefitted from particular interest as the ‘democratic laboratory’ of Central Asia. US foreign policy has emphasised consistently Bishkek’s political progress. The stakes became more complex with the presence of the Manas base, which has led Washington to support the corrupt and authoritarian tendencies of the Bakiyev family in the past. This has discredited the US in Kyrgyz public opinion after the second ‘revolution’ of April 2010. Moreover, US discourse on the democratic nature of Kyrgyzstan tends to ignore the failure of state structures in providing social welfare and does not take into account the sense of social injustice that citizens feel, regarding the absence of state protection of their basic rights. 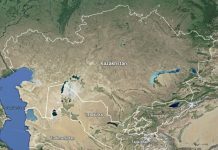 Washington has long considered Kazakhstan to be overly close to Moscow and as the main driver of Russian influence in the region. In the first half of the 1990s the US has limited itself mostly to engagement on denuclearisation issues. Kazakhstan is the only country in the region however that has managed to implement a multi-vector foreign policy, remain faithful to such principles for two decades and avoid the geopolitical subterfuge and quick reversals that characterise its Uzbek neighbour. Today, Astana presents itself as one of Washington’s loyal partners. The two countries have joint economic interests in the Caspian basin and growing bilateral trade and furthermore have consolidated the strategic partnership, which was mustered despite Russia’s revived influence and China’s growing role – especially related to Caspian security and cooperation in the framework of NATO. As the most active in their attempts to escape the Russian fold, Turkmenistan and Uzbekistan appeared to be promising partners in the 1990s, however they did not align to the US agenda of democracy promotion and remain suspicious of US intentions vis-à-vis national sovereignty. Ashgabat and Tashkent courted Washington in order to weaken Moscow, but limited any attempt to build regional Central Asian unity, and never made any definitive overtures to the United States. Uzbekistan quickly established itself on the US radar by supporting the presence of American troops in the region and in its international policy, at least until the souring of relations in 2004-05. Since 2008-09, it has regained US interest via the NDN, even more so now with Tashkent leaving the Collective Security Treaty Organization (CSTO) structure. From Washington’s point of view, Uzbekistan continues to be valued in classic geostrategic terms, which favours its central geographic location, demographic power, and strong state narrative. Turkmenistan meanwhile, has grown in importance since its second president Gurbanguly Berdymukhammedov has pursued a more opened-up stance, mainly by giving reason for hope to some large US companies who wish to enter the Turkmen gas industry. To a certain extent, Tajikistan is a largely forgotten figure in the US Central Asia policy. The Tajik state has no resources with which to attract the interest of US corporations; does not welcome foreign military bases; is limited by Russian military presence; has good neighbourhood relations with Tehran; and follows political patterns that are closer to Uzbekistan than Kyrgyzstan. A large part of the US involvement in Tajikistan is therefore linked to modest development assistance. Given its proximity to Afghanistan and Iran, the permeability of Tajik and Afghan societies and the internal weakness of the country, there is potential for an increase of American interest in Tajikistan. Washington plans for instance to double its military aid to Dushanbe for 2013 and be more involved in border control support. Despite considerable common ground in terms of values promotion, European and American policies toward Central Asia differ on various points. The European strategy is not built on the idea of an intimate connection between Central Asia and Afghanistan. It is neither based on the short term needs of ISAF withdrawal, nor on the idea that Afghanistan is a ‘sixth state’ in Central Asia. At the level of European bureaucracy, Central Asia is still part of the post-Soviet space and extension of the Eastern neighbourhood. Unlike the United States, the EU has no hard security edge, as it lacks Common Security and Defence Policy (CSDP) missions in the region and prefers to work through NATO, or leave hard security interests to member states with direct concerns, like Germany. Immediate issues linked to ISAF withdrawal are being managed directly by NATO or bilaterally by member states. 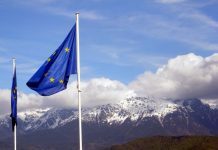 European policy is now increasingly being separated by country and this trend is expected to grow in the years to come. 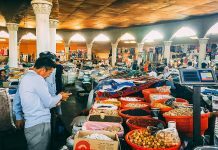 Although Kazakhstan could be brought closer to European neighbourhood policy, Tajikistan probably will be more closely associated with Afghanistan, at least in some aid and development programmes. 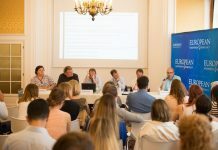 European policy is becoming closer to American policy by accentuating the dissociation of its policies country by country, and in integrating Afghanistan into some of them. 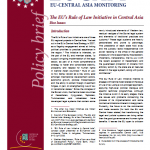 The recently published EU Central Asia Strategy review confirmed the growing emphasis placed on the threat from Afghanistan, even if this concern did not translate into a policy change and does not correspond with the fundamentals of European policy in the region, contrary to that of the United States. For two decades, Washington has sought to alienate the Central Asian states from Russia both economically and strategically, in order to promote their autonomy from the former Soviet centre. The US position on the possible expansion of cooperation with Moscow in the post-2014 period is far from unanimous within decision-making and expert communities, and will probably be dictated by pragmatism rather than by ideological choices. Since Europe shares a continent with Russia, the EU does not seek to exclude Russia per se from the Central Asian security landscape, and will continue to perceive this region as partly linked to Moscow’s evolutions. Such differences can be clearly noted in the energy sector. The American desire to give the green light to the TAPI (Turkmenistan-Afghanistan-Pakistan-India) gas pipeline, symbolic of the link between Central and South Asia, may contradict the hopes of developing a European Southern gas corridor with the Caspian Basin. Europe has no particular interest in promoting TAPI if it hinders negotiations with Ashgabat, and TAPI will not bring an end to the position of Russia as the main artery for most economic and energy exchanges between Europe and Central Asia. The United States’ focus on linking Central and South Asia remains up for debate from the European perspective. The decision of the United States to promote this South Asian axis, to the detriment of Central Asia’s rapprochement with Europe and the Mediterranean Basin, seems contradictory to the transatlantic commitment, the privileged role attributed to Turkey, and the links with the South Caucasus. In Central Asia itself, this orientation is also unsettled, as elites do not look at a South Asian model of development and identify neither with Pakistan, nor India but rather with Europe, Russia and Turkey. In many areas, particularly in trade and geopolitics, US and European interests could continue to deviate, weakened by Asia’s emergence on the world stage. Although in terms of values, they will remain close and require reinforcement of the transatlantic commitment. There are modalities for better coordination, leading to potential growing cooperation in Central Asia on values and security. An emphasis on good governance as a key element of stability and prosperity also comprises part of the shared agenda. In a time of fiscal rectitude, coordinating policies in matters of education (especially higher education), the training of younger generations to think critically and to carry out specialised technical training, or in civil society activism would be another field of potential coordination. A three way relation between the countries of Central Asia, Europe and the United States through new platforms, or by the reshaping of some existing initiatives, would make it possible to reinforce the multiplying effects of these projects to limit the costs, and to give the Central Asians a clearer sense of the transatlantic relationship. NATO is a potential platform where upon EU-US cooperation and coordination on Central Asia could be enhanced further. Improvements could also be made to the sharing of responsibilities that sees the United States concentrate on hard security, and the Europeans on soft security. While the aid given to some sectors is far from consensual (training of security agencies, donations of military material), or has not proven to be efficient (border security), disaster solutions (natural, industrial, and climate change related) is a key area of long term, everyday security in the region, and one where the US and Europe could use their knowhow to work together. The disconnect between the United States and Europe in relation to geostrategic and commercial interests and theatres of operations is an unavoidable process that does not jeopardise the transatlantic commitment. The United States is a powerful force in Asia; Europe is not, and is therefore increasing legitimately its involvement in this area of the world. Over the last half century, US policy has espoused a global view while Europe has focused more on its neighbourhood – both southern and eastern – and will continue to do so, especially given the drastic changes in its environment linked to the Arab Spring. US and European different viewpoints of the world impact their respective involvement in Central Asia. 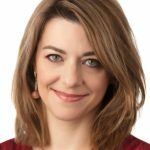 The transatlantic commitment in relation to the region must therefore not be based on a kind of geopolitical reading, indeed upon which the US and Europe diverge, but on the value commitment that both share, and which can be translated in terms of governance improvement and human development. European Council General Secretariat, The EU and Central Asia: Strategy for a New Partnership; The Joint EU Council and Commission Implementation Report of the EU Strategy for Central Asia, June 2009,http://www.eeas.europa.eu/central_asia/docs/2010_strategy_eu_centralasia_en.pdf, accessed August 2012. There is no equivalent official text from the U.S. side available as declassified, but the reader can refer to Robert O. Blake, Jr. speech at the Central Asia-Caucasus Institute Forum, SAIS Washington, DC, January 25, 2012, and to S.F. Starr, and A.C. Kuchins, “The Key to Success in Afghanistan A Modern Silk Road Strategy,” Silk Road Papers (Washington, D.C.: The Central Asia-Caucasus Institute and Silk Road Studies Program, 2010).. US Department of Defense, Sustaining US global leadership: Priorities for 21st century defense, January 2012. J. Nichol, Central Asia: Regional Developments and Implications for US Interests (WashingtonDC: Congress Research Service, May 31, 2012), p. 3. Majority Staff Report, Central Asia and the Transition in Afghanistan (Prepared for the Use of the Committee on Foreign Relations: United States Senate, December 19, 2011). Department of State, Executive Budget Summary, Fiscal Year 2013, http://www.state.gov/documents/organization/183755.pdf. D. Tynan, Pentagon Looks to Plant New Facilities in Central Asia, Eurasianet, 8 June 2010 http://www.eurasianet.org/node/61241, accessed August 2012. State Department, Bureau of International Narcotics and Law Enforcement Affairs, Central-Asia Counternarcotics Initiative, 11 February 11 2012, http://www.state.gov/j/inl/rls/fs/184295.htm, accessed August 2012. The Law on Parliamentary Election was revised in December 2011. See Mongolian Legal Unified Information System, http://www.legalinfo.mn. R.O. Blake, China’s Evolving Role in Central Asia (Foreign Service Institute and State Department Bureau of South and Central-Asian Affairs: Washington DC, December 9, 2011). ‘The US Military Involvement in Central-Asia and Its Impact on US-Central-Asia Relations: Four questions to Stephen Blank, Alexander Cooley, Joshua Kucera, and Andrew Kuchins’, Central-Asia Policy Forum, no. 1, April 2012. USCIRF Annual Report 2012 (Washington DC: USCIRF, 2012). 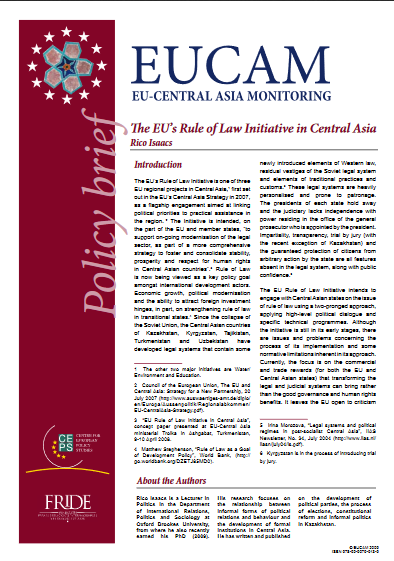 J. Boonstra et al, ‘Ten tasks for the new EU Special Representative to Central-Asia,’ EUCAM Policy Brief, 24 June 2012, http://www.fride.org/download/PB_24_Tasks_new_EUSR_Central_Asia.pdf, accessed August 2012.